I just love fresh flowers in the house. I do this from time to time. Kinda celebrates that we are alive and that beauty does exist. That’s exactly how I feel, too, Carl! Thanks for stopping by! I don’t know why your new posts aren’t coming my way! I’ll visit you soon, too! I love the flowers. They’re amazing! Have a good week! I love the flowers, their colors and the fact that you and hubby got them together! 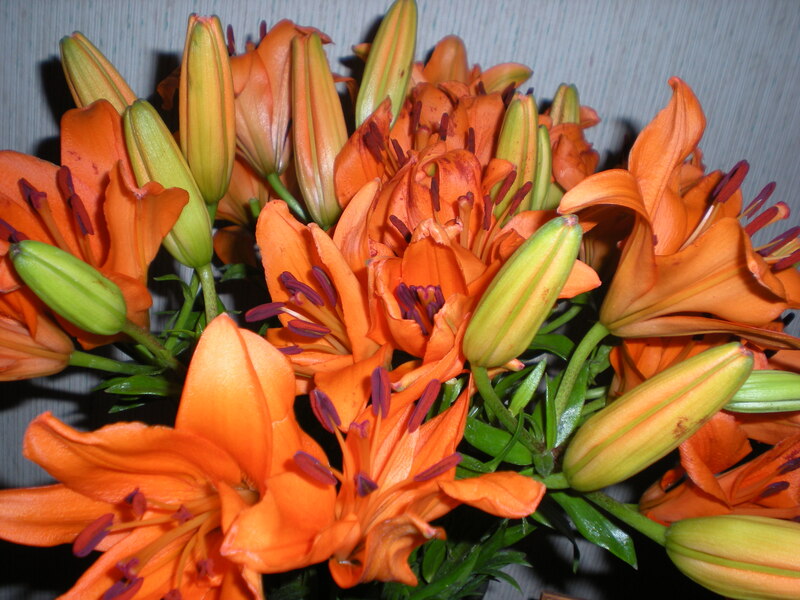 Me and my wife do it often and when i was working i got roses and other flowers from her…try it he’ll love it! Thanks for sharing! No better gift to us today than sharing these beautiful flowers with us! Yes, I am known to put blooming weeds in vases around the house, so I know how you feel about sharing God’s beautiful bounty like this! Fresh flowers in the house are great – I especially like stopping by to smell them 🙂 Have a great week! 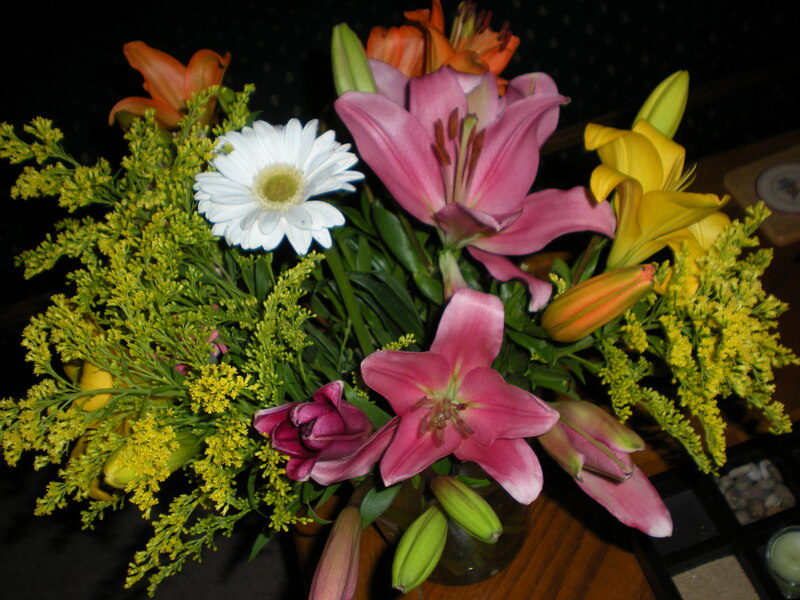 I love fresh flowers too–Have a much blessed week, Lauren! Thank you for posting the flowers. Beauty is so important. I look forward to the next poem whenever it comes. You’re welcome and I agree, E A M! And thank you for your encouraging words, too! They are stunning! I class that as a poem in itself, poetry in a picture. I love seeing a splash of nature, just pure handiwork of God, to remind us to thank Him every day for His incredible creation! There is almost nothing else that expresses God’s love for this world, as flowers. Thanks,Lauren, for sharing the brightness and love of your day! I agree and thanks, Diane, I’m glad you enjoyed these beauties!